Coffee Biscuits a Cream Biscuit. Where to buy the best Australian biscuits, product information, reviews, recipes, news and retailer information. 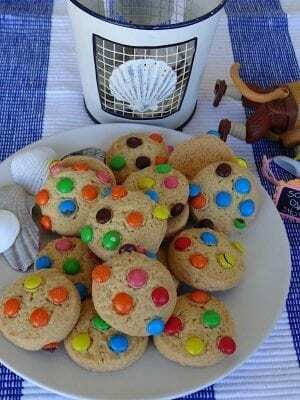 Read our Blog for the latest on Aussie cookies and bickies Read More. 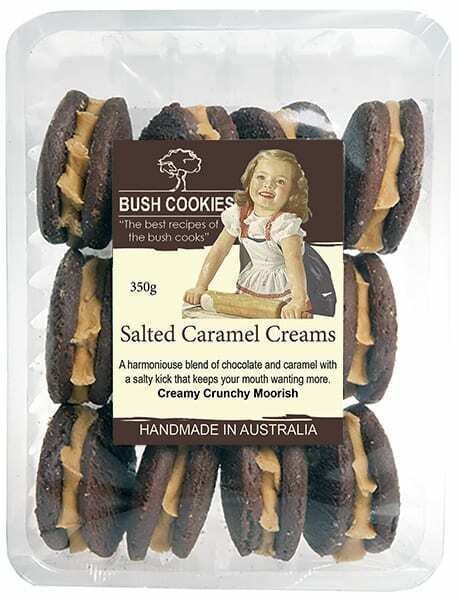 The best Australian Gluten Free cookie range comes from Bush Cookies. Bush Cookies is a cookie company that has some great gourmet cookies but are sometimes most loved for their Gluten free biscuit range. OH yes…. this is a good one, come and get some more, taste that you cant stop eating. A cream filled cookie, the Vanilla flavored biscuits have a really sensuous passion fruit flavored cream that will leave you wanting more. 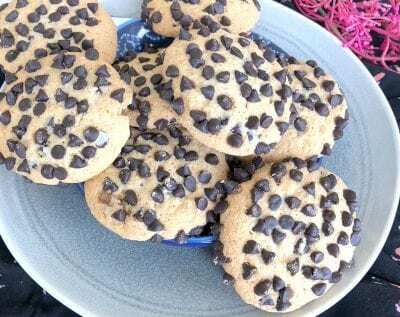 The Bush Cookies choc Chip Gluten free cookie is a tasty cookie infused with lots and lots of chocolate bits. If your a choc chip cookie lover then you will love this one. Choc Chip Cookies are hard to beat for an all round favorite snack food that is crisp and crunchy but also chocolaty. 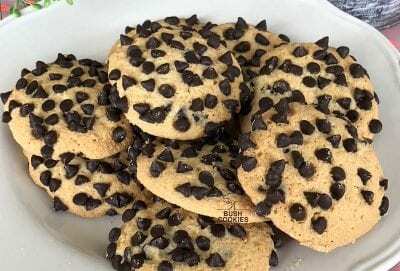 The Bush Cookies brand of choc chip cookies are just loaded with choc bits so they are extra tasty. Buy Bush Cookies brand at you local Harris Farm Markets or order online from the Australian biscuit manufacturer and distributor, direct from the bakery. 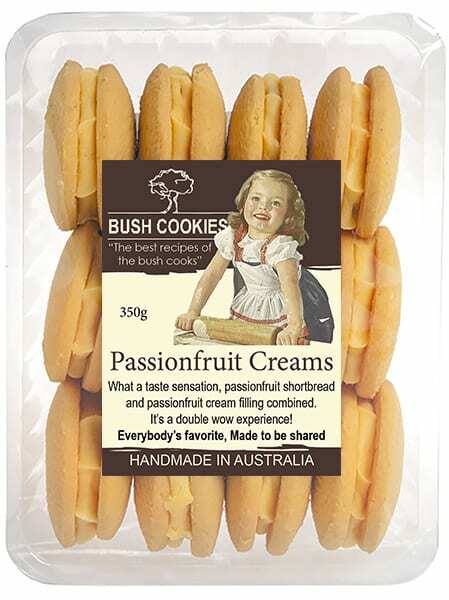 Harris Farm Markets 21 stores have been long term stockist of Bush Cookies particularly Freckle Bickies, Choc Chip Cookies, Salted Caramel Creams and Passionfruit Creams. This month Harris Farm Markets opened a new flagship store at Cooks Hill NSW, moving their Newcastle store from Glendale to Cooks Hill. 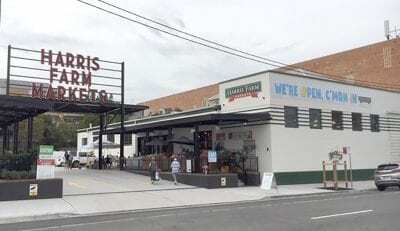 Read the full review of Harris Farm Markets exciting new complex at Cooks Hill, on the website of wholesale food Suppliers Opera Foods. 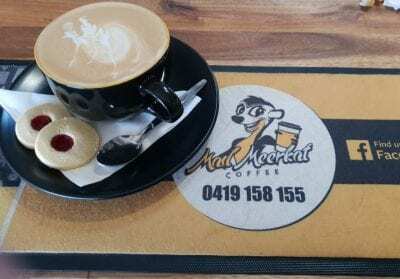 Coffee Shop proprietor Ben Moore of Mad Meerkat Coffee, Wyalong NSW, says that the “Bush Cookie Jam Drops, that we provide complimentary with every coffee purchased at our cafe”, “are becoming a fast favourite with our regulars”. Rather than provide customers with a minuscule mini bite cookie, Ben is one of those entrepreneurial operators that loves to give his customers a serious gourmet complimentary serve and since he is too busy to bake biscuits he relies on Bush Cookies home style Jam Drop Shortbread biscuits for their reliability and great taste. Visit the website for more food creations by Mad Meerkat Coffee. Bush Cookies is a subsidiary of fine foods wholesalers & manufacturer Opera Foods. Bush Cookies’ new Mini Freckle Bickies are growing in popularity as more retailers discover them and add them to their list of cookies stocked. Mini Freckle Bickies are a smaller cookies in a smaller pack, just 150 gram. The mini Freckle Bickies are an pack size ideal size for picnics, car trips and lunches and snacks. Kids just love the pretty mini choc buttons that cover the biscuits. Their a crunchy tasty biscuit that are a nice bite size snack. Order Mini Freckle Bickies online at fine foods wholesalers Opera Foods. Bush Cookies is a subsidiary of Opera Foods. 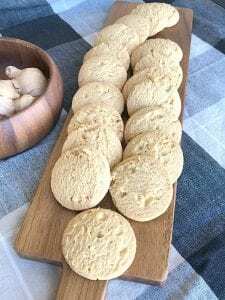 Ginger Macadamia is a classic biscuit, perfect for a high tea party, from local brand Bush Cookies. 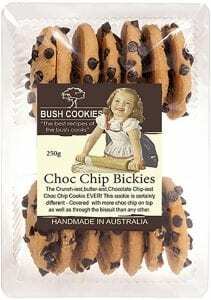 Bush Cookies (AKA Aussie Bush Biscuits) likes to use Australian ingredients like the famous Australian macadamia nut. Macadamias are a healthy crunchy nut that are perfect for cookies. The combination with Australian ginger makes a tasty treat. Choc Chip Cookies are almost universally popular and one of the best selling biscuits by Bush Cookies. 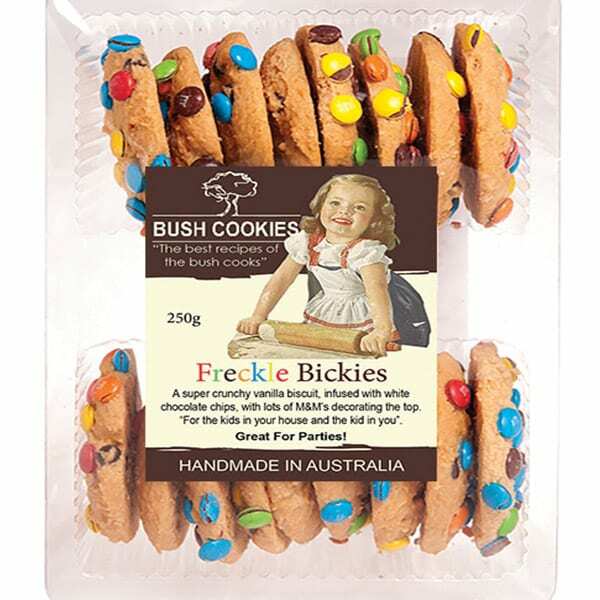 Australian manufacturer Bush Cookies, AKA Aussie Bush Bickies, make A large variety of different biscuits to suit all occasions. 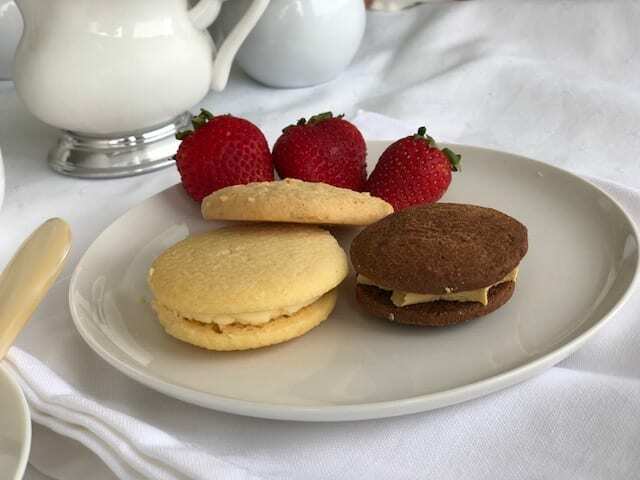 The Bush Cookies gourmet flavours are popular as High Tea Cookies and are great for a party or an occasional morning tea, or afternoon tea, with an unexpected guest. In Sydney you can find Bush Cookies Choc Chip Cookies stocked at The following discerning retailers: Harris Farm Markets (all Stores), IGA Allambie Heights, IGA Wentworth Point, IGA Ellanora Heights, Fruitezy (Miranda, Chatswood & Chatswood Chase), Parisis Foodhall Rose Bay, Fourth Village Mosman, Riverview Deli, North Steyne Emporium, Willoughby Fresh, IGA Penshurst, IGA Warriewood, IGA West Pymble, Greenwood Grocer. Buy them from wholesale food Suppliers Sydney Opera Foods. If you have been invited to a High Tea Party then your probably looking forward to a pleasant afternoon of relaxation away from the daily grind. You may be thinking to take an interesting gourmet contribution of high tea food to the High Tea Party. We suggest a quick fix with a platter of gourmet hand made wholesale cookies, but you don’t always have to bake these. You can buy gorgeous hand made wholesale cookies for high tea food, from Bush Cookies instead. A variety, (at least three types) of cookies can make a beautiful presentation on a large platter, especially with a colorful adornments like some fruit. Maybe take some in-fashion, healthy, organic Matcha Tea to go with them? Jam Drops are a great favorite being basically popular shortbread cookies that has been made pretty and sweet and tasty with a dob of jam. Its a quick and easy to bake cookie that takes about 15 minutes to prepare and 15 minutes to bake, so they are ready in about half an hour. Here is a favorite recipe from a seasoned bush cook. Or you can buy a similar product online from Bush Cookies. Beat the butter and the sugar together until smooth creamy and fluffy. Stir in vanilla then add flour and mix well. Stir until you get a smooth paste. Roll out on to a work surface and gently roll until the paste is about 1cm thick. 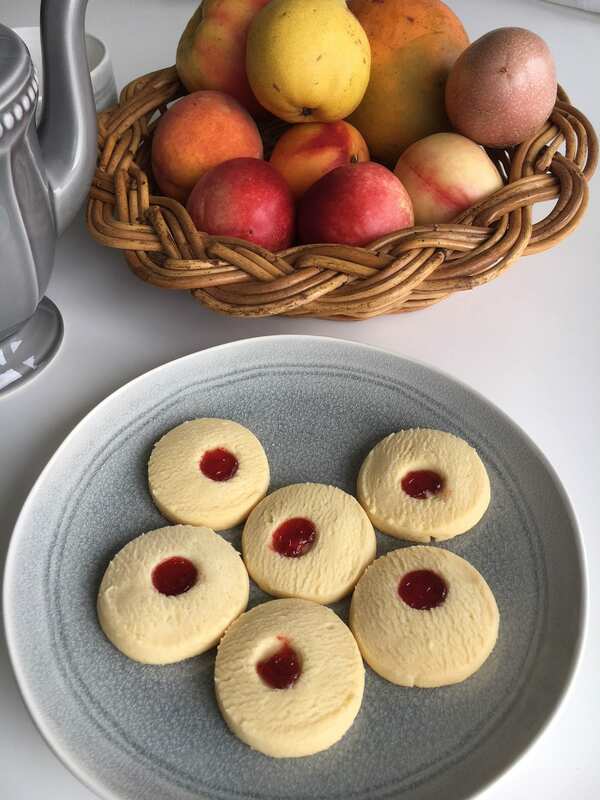 For the jam drops use a finger dipped in flour or object to make an indentation in the centre of each of the shortbread cookies. Spoon 1/2 teaspoon of jam into the centre of each biscuit. Bake for 12 to 15 minutes, or until pale golden-brown. Set aside to cool on a wire rack. Recommendation: Don’t talk too much at the table or they will all be quickly gone.